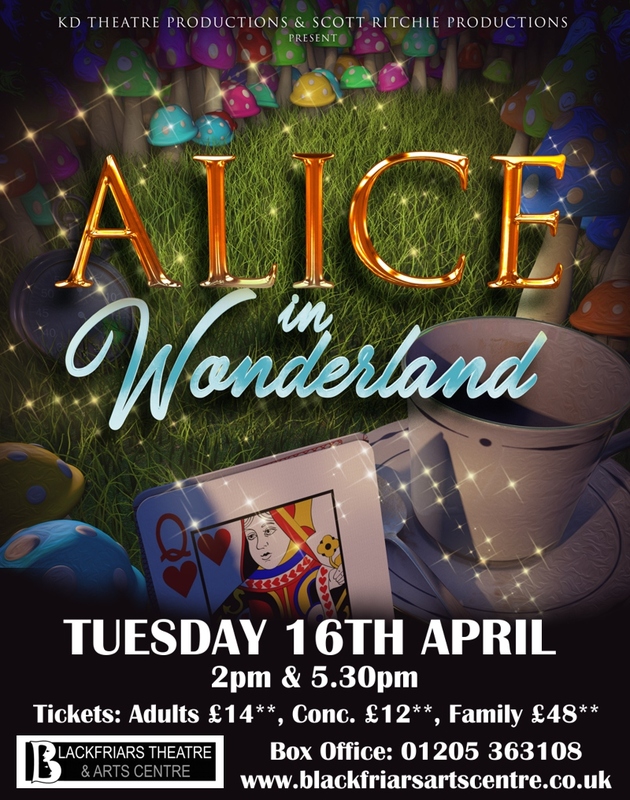 Come and join the tea party and meet the Mad Hatter, The White Rabbit, Cheshire Cat and the Queen of Hearts plus many more exciting colourful characters! This exciting and playful take on the tale features a professional cast of energetic performers, catchy new songs and lots of humour that will entertain and delight the whole family! **Prices include a 50p per seat ‘refurbishment’ levy. To see our Event Guide for April, May and June, click here.